You'll be £25.00 closer to your next £10.00 credit when you purchase Flying Freestyle. What's this? 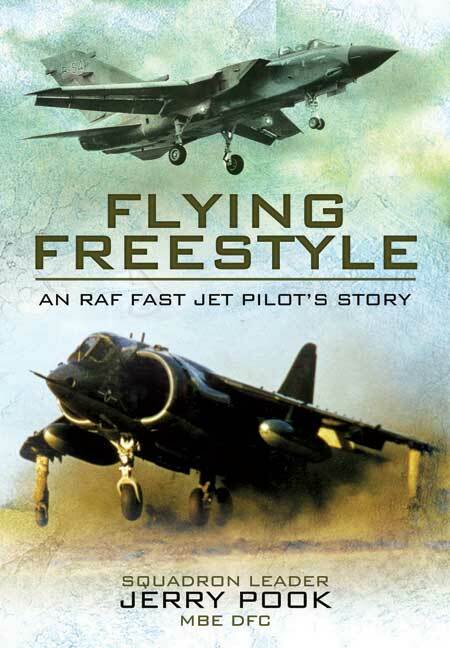 During a twenty-five year flying career in the RAF, Jerry Pook has flown Hunter Fighter/Ground Attack aircraft in the Gulf, Harriers in West Germany, the supersonic Starfighter with the Dutch Air Force, the Harrier in Belize, Central America and the Tornado bomber at the Tri-national Tornado Training Establishment where he trained German and Italian pilots and navigators. he moved to the then new Tornado, flying in its bomber role. This he continued to fly operationally and in the instructional role for 13 years until grounded from military flying for medical reasons.